Let’s face it we have all attended a course where the hours seem to last for days. 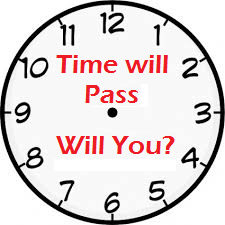 I can clearly remember being in a class that had a clock which stated “time will pass, will you?” as if to taunt me. Unfortunately it is true that not all courses or instructors are created equal. This is why I believe that wherever possible introducing simulations could improve ther retention of information and increase overall value of the content being delivered. After all who doesn’t love to play games on some level? Training is expensive for the most part. In my opinion getting your company to put up the funds in the first place can be the biggest obstacle. The second challenge is that after the course, if your organization doesn’t feel like it provided the value they were hoping for, you might be in for an uphill battle the next time you need training. Training outfits strive to increase value and reduce cost, so it is important that you as the consumer determine what will ultimately provide the best bang for the buck. Unfortunately the price tag is what typically is the comparison point between your choices. this price point may be driven by whether the coursework can be delivered locally, online or a combination of the two. I think that typically the content isn’t the problem, it is your retention of the information that can be a challenge. As I mentioned earlier not all training outfits are created equally. At the end of the course it’s likely that you will have a test in which case you, the trainee, experience a heightened sense of anxiety preparing to pass a test. I personally see a flaw in this methodology. I am not simply looking to pass a test, and hopefully that you arent either. What we should be aiming to do at the end of the training is to bring back the information we have absorbed, share with our colleagues and apply it in a way that will improve some component of our work lives. Traditional education focuses on assessment, usually involving a 3 day course with someone reading from a slide deck. (Reading, Hearing and maybe Seeing – 30% retention). Simulations can provide immediate feedback and teach core problem solving skills. This also allows us to change the dynamic in the classroom (Saying or Doing – upwards of 90% retention possibly). Think about this, have you ever noticed in a class setting when the instructor asks a question there is a deafening silence. Why does that happen? This is a result of years of learning in the same way; you only get one change to get it right. In other words people are afraid to look stupid so they carefully choose when to contribute. In a simulation setting, generally the pace is faster you are able to make some mistakes, try again and make adjustments where you need to. In the simplest of terms LEARN. Another thing that simulations do is it gets us moving around and out of our seats without us realizing it. Physical movement also has an impact on the way that we remember. Sitting in an uncomfortable chair for 3 days certainly will not make any improvements to what information we retain. Don’t get me wrong, I have been in a great deal of classes that had engaging and interesting instructors who have presented the information in a way that encouraged group discussion and collaboration. However in my opinion if we were able to add simulations, even in a small amount, this would improve the dynamic of the learning experience in a positive way.